On The 21st: A new development on the story of unpaid debt from parking tickets, which, it turns out, disproportionately affected communities of color in Chicago. After ProPublica investigated the issue, the city is now dismissing about 23,000 tickets. Plus, dozens of people have been injured in that town after it was hit by a tornado this past weekend. We’ll get an update from local officials on the ground. 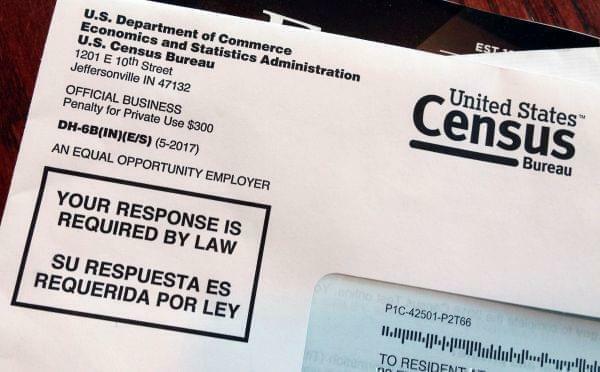 But first, a number of states are suing the federal government to keep the citizenship question off the 2020 census. We’ll talk about what’s at stake for Illinois in the next census. The Supreme Court announced last month that it will weigh in on the lawsuits over whether or not there should be a question about US citizenship on the 2020 census. The justices have scheduled a hearing in February but this debate has been going on outside the high court for months, ever since the Trump administration announced plans to include this question. And a number of states are part of lawsuits against the federal government, including Illinois. We know Illinois has been losing residents and because of that, we could lose one congressional seat after the next census. If non-citizens are undercounted, that could turn into two. Ted McClelland wrote about this for Chicago Magazine, and he joined us on the line. Also joining us was Rob Paral, a demographer and a fellow in the Global Cities Program of the Chicago Council on Global Affairs. And from NPR’s New York Bureau, national correspondent Hansi Lo Wang, who has been covering the 2020 census, was with us. More on the #2020census with @hansilowang from @NPR and @TedMcClelland and @robparal @ChicagoCouncil NOW. If you’re a regular listener to The 21st, you might remember a conversation we had back in March about how some Chicago residents are losing their jobs and having to file for bankruptcy because of parking tickets issued by the city. This ticketing process disproportionately affected communities of color. And it eventually became the subject of a ProPublica Illinois investigation. Since then, Chicago has been slowly changing their ticketing and debt collection process. And last week, the City announced it has dismissed 23,000 outstanding duplicate vehicle sticker tickets. They also said they will refund drivers who have already paid for another 12,000 duplicates dating back to the early 1990s. For the latest on this story we were joined on by Melissa Sanchez. Melissa is the reporter behind this story for ProPublica Illinois. Also joining us from WBEZ we had Elliott Ramos who has been working alongside Melissa on this story. Most Illinoisans don’t expect tornadoes to show up in December. But that’s what happened this past weekend, when at least 20 touched down in parts of central and southern Illinois. One person has been reported dead in southwestern Missouri and in Illinois, tornadoes have been confirmed in at least seven counties. Christian County was hit especially hard. In Taylorville, just southeast of Springfield, dozens of people have been injured and in some cases have lost their homes. Les Albert is an assistant public information officer with Christian County’s Emergency Management Agency. He joined us on the line. We also spoke with meteorologist Andrew Pritchard. Taylorville and Christian County are just starting the process of recovering and rebuilding after this natural disaster. And that process can take a while long after the cameras go somewhere else. Gary Manier knows this firsthand. He’s the mayor of Washington, Illinois, about 20 minutes east of Peoria. You may recall that five years ago a tornado hit his town.